These journal chapters are descriptive of the author's walks outdoors enjoying nature and communing with the Lord whom he loved. Dr. Fowler writes, "The title of this book is spelled with five full capitalized uppercase letters (A-L-I-V-E) followed by a throbbing exclamation point ( ) so that it will be read as a celebrational shout, an exultant affirmation upon a silver trumpet. 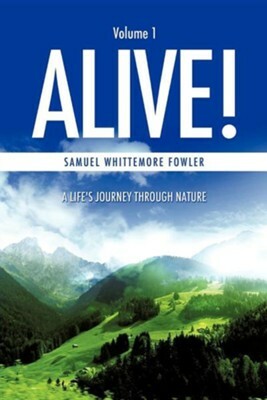 Its title is not simply ALIVE The word "alive" is merely a word spoken as a word, nothing more, whereas this book and title, ALIVE are both explosive shouts of joy-a vital joy that is at once exultant and serenely calm. There is a disposition, a healthful state of soul, an attitude toward the allness of life in these pages which is greater than any single insight or described experience in any one chapter. 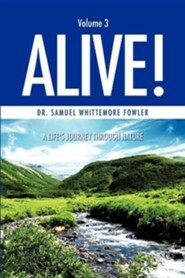 "Glad-to-be-alive is the theme which most preoccupies this book. "Samuel W. Fowler was born November 30, 1934, in Washington, D.C. He trusted Christ as his Savior October 12, 1954.He received his Th.D. from Dallas Theological Seminary and was professor of Bible and Theology for 43 years in several Bible colleges. His unique teaching and preaching style reached many students who are now serving the Lord around the world. He also served as interim pastor and full-time pastor in several churches.Dr. Fowler's previous works Coping Strategies, Meditations on the Glory of God, and Afoot and Delighthearted have been a blessing to many Christians.Although Dr. Fowler's expertise was in Bible and Theology, he also had a deep love of nature, which inspired him to become a poet. 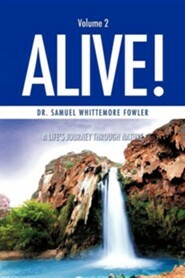 Dr. Fowler was ushered into the presence of His Glory on July 11, 2008. I'm the author/artist and I want to review Alive!.